Enjoy the amenities that make the Hampton Inn West Springfield hotel the place to stay while visiting western Massachusetts. You*ll enjoy complimentary high-speed Internet access complimentary parking and complimentary HBO. Start your day with our famous breakfast buffet featuring a hot item daily. With our all new **Cloud Nine** bedding a good night*s sleep is guaranteed. Rain or shine our hotel guests enjoy local attractions such as Six Flags New England Yankee Candle Company the New England Air Museum the Naismith Memorial Basketball Hall of Fame Magic Wings Butterfly Conservatory and much much more. Located at the Crossroads of New England off of I-91 at Exit 4 our Hampton Inn hotel is easy to get to from any location. 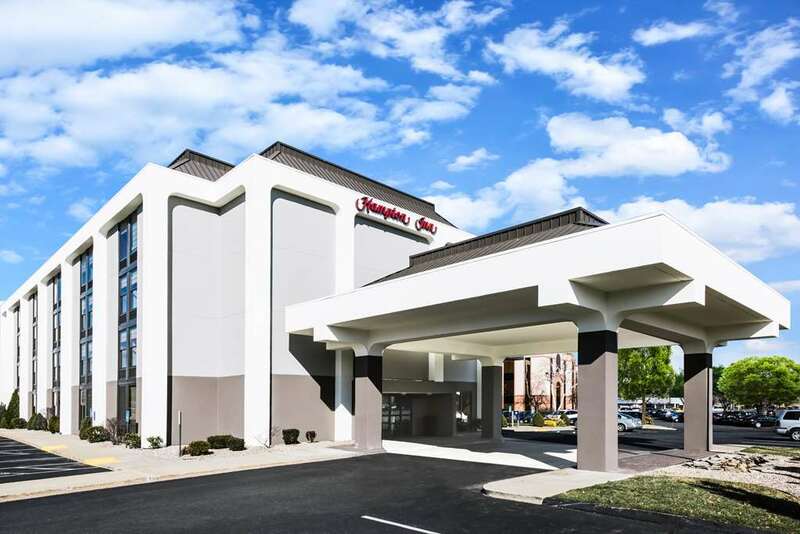 The Hampton Inn West Springfield hotel is surrounded by shops and restaurants and is minutes away from downtown Springfield home to the new Massachusetts Mutual Convention Center. Whether in town for work or play the Hampton Inn West Springfield*s 125 stunningly renovated rooms will welcome you and our friendly professional hotel staff will make your stay a memorable one. Hampton Inn West Springfield...we love having you here.